The reason that this is such a massive milestone for me is that when it comes to food, K likes what she likes. She’ll eat fruit and veg… but she prefers meat and potatoes. And while I love nuts and seeds and dates and bananas, she’d rather go hungry than eat them. 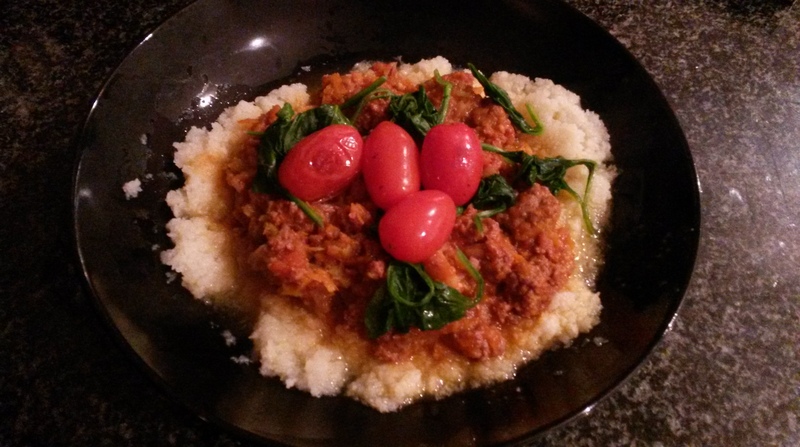 Tonight, I made a delicious bolognaise that I served on cauliflower mash. The meal was completely SCD legal (obviously) and apart from two tiny differences between our meals, we ate the exact same thing. Another reason that this is significant is that I cook two different meals every night. Being able to make one meal for both of us – at least some of the time – will be such a big time saver (except now I have to share my delicious food – damn!). Sneaky me: I snuck tons of veg into the mince and K had no idea. It’s a great tactic for kids too. If you’re still in the early phases of SCD, like me (I consider phase 3 fairly early still), make sure you cook the veg really well. There is no oil in this recipe, very little fat, and it’s packed with nutrients. 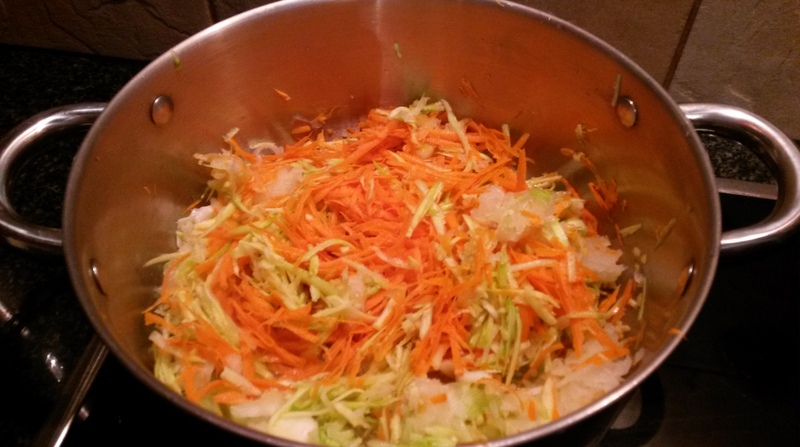 Add the carrot, zucchini, onion, leek and 1 heaped teaspoon of garlic to a pot, add a few drops of hot water, and heat. 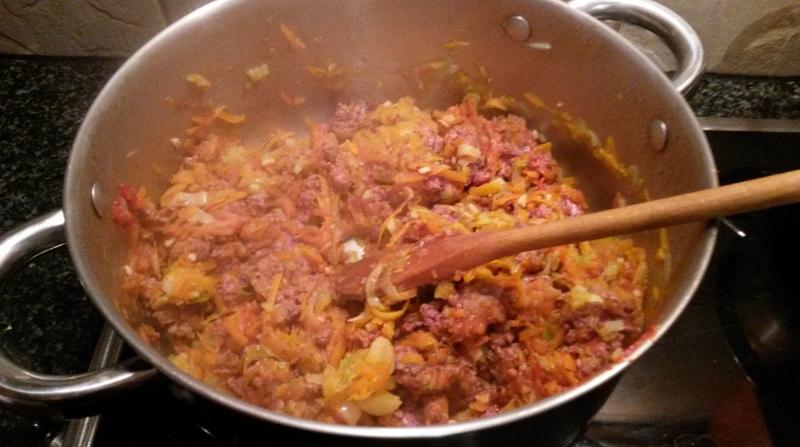 Stir constantly over high heat for about 10 minutes, adding water as you need to, until veg is cooked and soft. 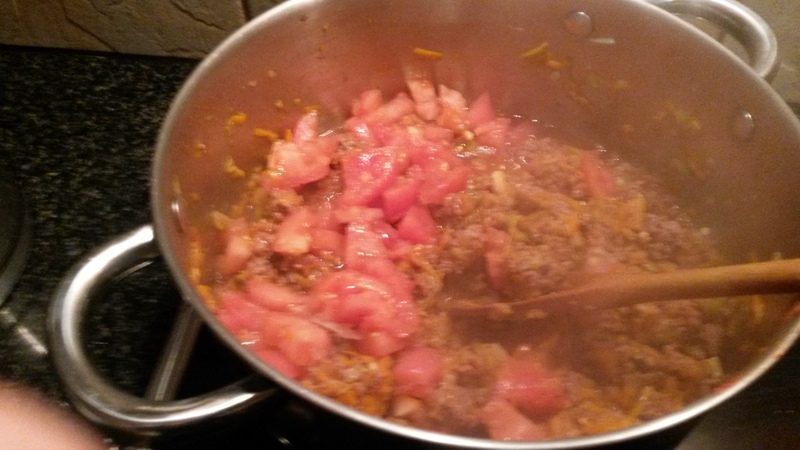 Add the mince and tomato paste to the pot. 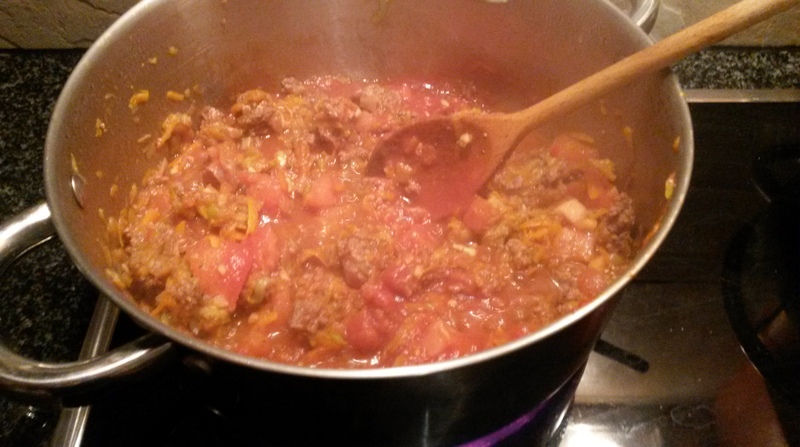 Break up the mince with a wooden spoon or fork, and continue to cook on high heat, stirring all the time. 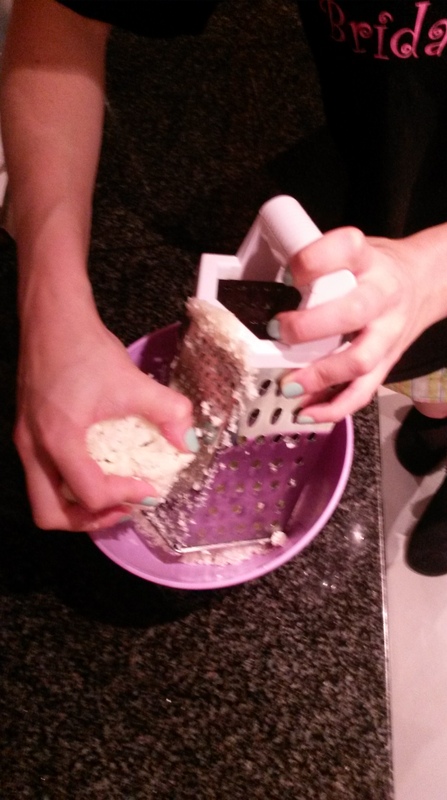 Add the wine and stir until reduced. Throw in the chopped tomato, tomato puree and the second teaspoon of garlic, as well as a good pinch of salt and several cracks of black pepper. Stir to incorporate. Reduce heat to low, stir until the pot has simmered down, and then cover and leave to simmer for 20 to 30 minutes. The longer you leave it, the better the flavour – but it smells so good it’s hard wait! 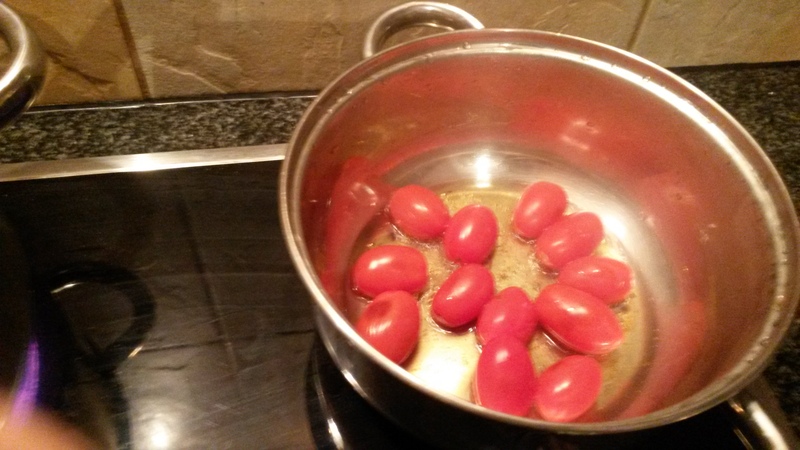 Meanwhile, place the baby tomatoes into a pot with a little water, and cook on medium heat until the skins have just begin to burst. Set aside. Keep a close eye on these! 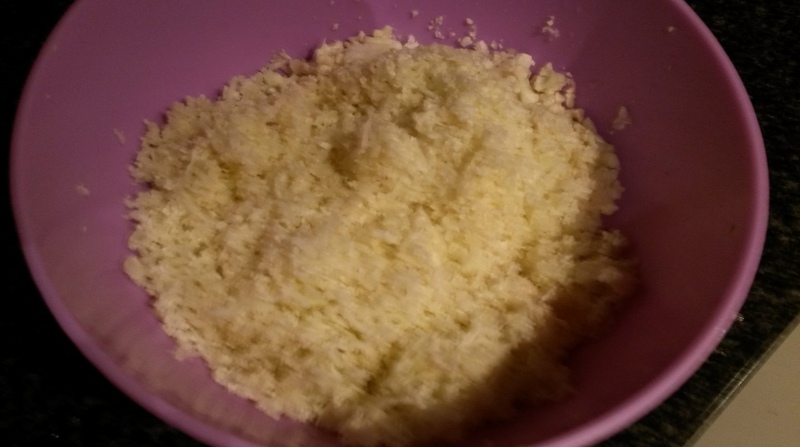 Cook the cauliflower in the microwave, covered, for about 12 minutes. Add a dash of water before cooking if you need to. Oh my gosh guys, it was amazing! And there were NO leftovers (sob). “Oh my gosh this is so good. I don’t know why you’ve been complaining about SCD food.” (luckily this was punctuated with a grin and a wink). So I did pretty well, and it’s another dish I can add to our weekly rotation. 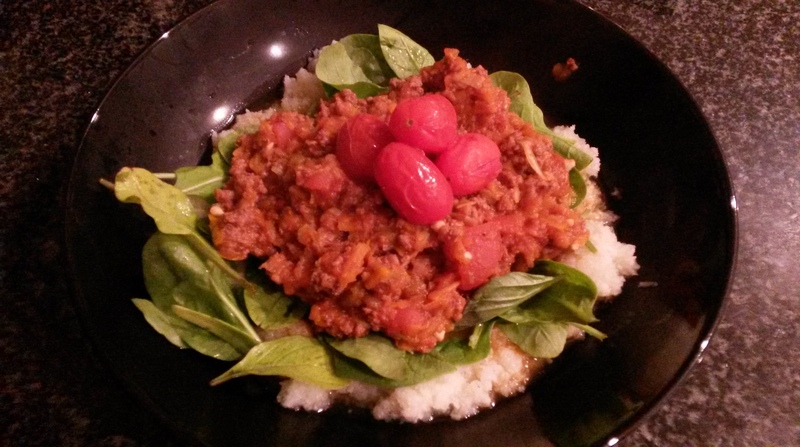 I am SO proud of myself for taking a bunch of ingredients that K would never normally eat, and turning it into something that she actually loved – AND it was SCD legal! BEST. EVER. Please feel free to share you recipes or links to your blogs – I love finding new SCD recipes and I need all the inspiration I can get!